The Plates of Passion – a one-of-a-kind dining and fundraising event run by Bermuda Hospitality Institute — was launched yesterday at Bermuda College. Local Culinary Arts students were paired up with some of the Island’s top chefs for the popular event, which takes place on Wednesday, November 1. Part proceeds raised from the dinner go towards scholarships for local culinary arts students participating in the scheme. Over the next six weeks, students will have an opportunity to shadow their mentor chef, collaborate to create recipes and then assist with meal preparation. According to Enworth Davis, the Executive Chef at Mid Ocean Club, it’s a great event to take part in and provides him a chance to give back and invest in Bermuda’s future talent. “I really enjoy it,” he said. “I have been here in Bermuda for a little while now and I recognise the industry is embarrassingly low on Bermudian chefs. This is the third time Mr Davis has taken part; and each year he said it’s inspiring to watch the young people grow and get excited about cooking. 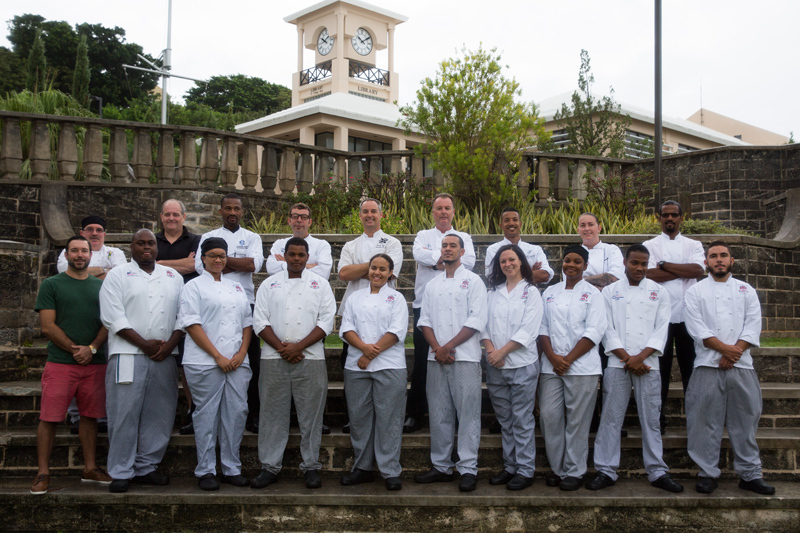 Derek Myers, Executive Chef at Island Restaurant Group, will be paired with Bermuda College student Serena Simmons. Mr Myers said: “Events like this are good for the industry and get Bermudians involved and showcase what talent is available on the Island. This year’s event is different in that there are two young Bermudian chefs serving as mentors. Malika Cartwright, Executive Director of the Bermuda Hospitality Institute, stated: “This is the fifth year we’ve hosted Plates of Passion and I’m particularly excited for the line-up of chefs taking part in this year’s event. “We have two Bermudian chefs – Michiko Campbell, a Sous Chef at Royal Bermuda Yacht Club, and Julianna d’Estelle Roe, Sous Chef at Marcus’ Bermuda – who will be working with the students this year, which is extremely important. Plates of Passion is one of the BHI’s biggest annual fundraisers. From each ticket sale $50 is donated to scholarships for local culinary arts students and helps them pay for books and other culinary arts materials. Tickets are $185 each or you can reserve a table of 10 for $2,000. It’s always a sold-out event so attendees are encouraged to reserve their tickets early, by calling 295-5049. In your so-called dreary life, all the rainbow colors are there — just close your eyes and dream them. Soon enough they will be real, if you believe in your own colors. Now get me a plate for my passion! Wishing all students well in this task. Just have fun as it helps to make learning easier.